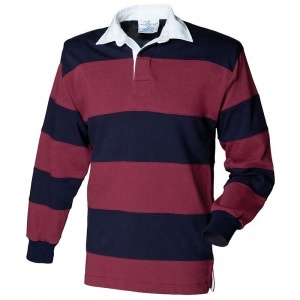 Sewn Stripe Rugby in heavy jersey. Traditional rugby collar with cotton webbing. Taped shoulders and side vents. Rubber buttons. Elastane re-inforced cuffs for shape retention. Twin-needle seams and hems. WRAP Certification. 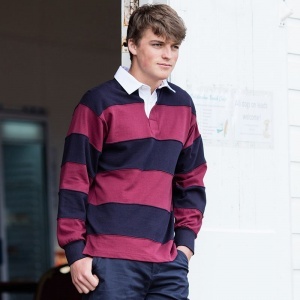 Rugby leisurewear garments are for leisure use only.